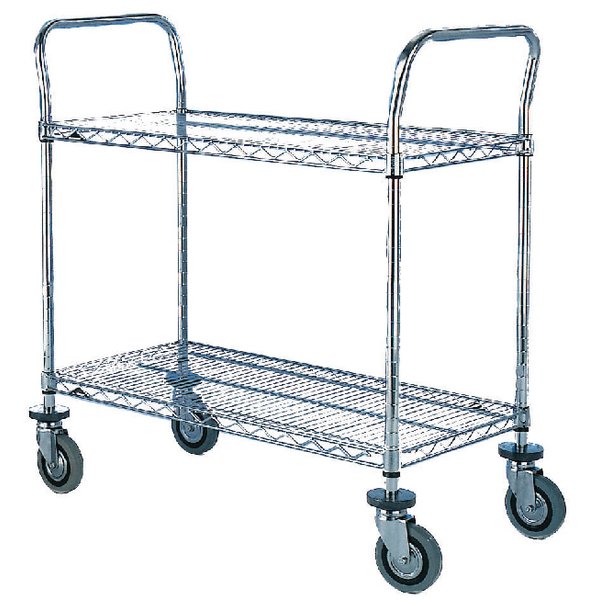 This attractive and easy to use trolley features three light, wire mesh shelves that provide plenty of space for equipment, tools, or food and drink in catering environments. The shelves can be adjusted at 25mm intervals and each provides a generous 610mm x 1070mm surface area. The trolley sits on four swivel castors for ease of movement, with buffers above each to protect walls from damage, and with a capacity of 200kg, this versatile trolley can be used in a multitude of situations.